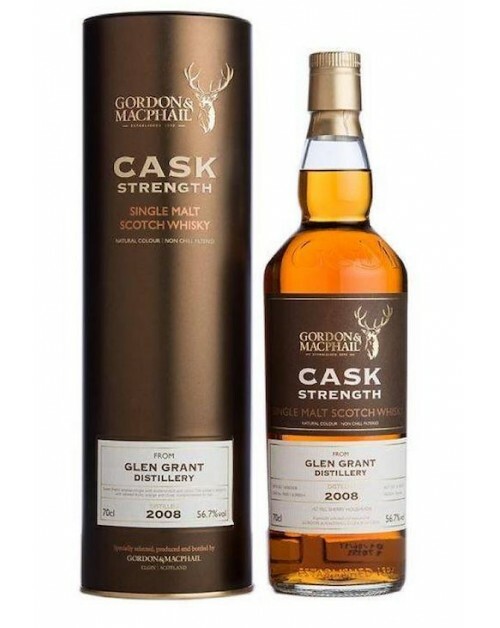 Glen Grant 8 Year Old 2008 Single Malt Whisky is a Gordon & MacPhail bottling of 8 year old Glen Grant single malt whisky. It was matured in first-fill Sherry hogsheads and bottled in June 2017 at 56.7% abv. Nose: Crushed apples, brown sugar. Palate: Toasted banana and warm chocolate. Finish: Long finish with slight tobacco notes at the end.